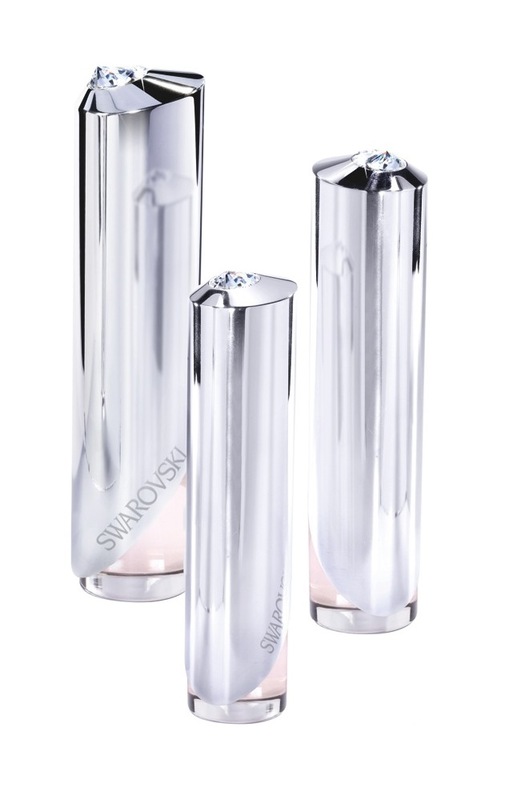 Each bottle features a slide-off metal sheath that spots its own Swarovski crystal. A soft fruity-floral, Swarovski’s intension was to create a multi-faceted jewel-like fragrance that you could wear like an invisible body crystal. They describe it as being a ‘prism’ with three distinct rays; a fruity one with notes of lychee, a floral one that features white tuberose and a spicy ray with subtle pink pepper, wood and musk notes. On me, I struggled to make out any distinct notes aside from pink pepper and an initial albeit brief red-citrus burst. It did smell very pretty though and reminded me of a softer, more diluted version of Chanel Coco Mademoiselle, which I used to wear compulsively until the day I spritzed it on, got a migraine o’ death and threw up all the floor of the hottest pharmacist in Cape Town. Fun! But ja, while I wasn’t wild about Aura (I prefer slightly sexier scents), I liked it well enough. My flatmate Kim, however, is obsessed with it. Obsessed! I’d been spritzing it excessively in the lounge the other day, sniffing it out for this review and then buggered off for a run on the prom. When I got back, Kim was home and the first thing she said was ‘Oh my God! What did you spray in the lounge? It smelled like a princess!’ Those were her exact words. A princess! I have to agree with her though; it is very princessy, in the best sense, in that it’s pretty, soft, uber-girly and sophisticated. If it were a living, breathing person, it would be Gwyneth Paltrow in that pink ballgown on the night she won her Oscar. Ah vintage Gwyneth. Growing up, my friend Lee-Anne and I used to worship this woman. Love your mooi heart-shaped clutch babe. So jealous! So, are you the princess-y type? Do you like soft, fruity florals that are pretty enough for ‘date night’ but sublte enough for the boardroom? Enchanted by the crystal-topped bottle? Look out for Aura by Swarovski in stores like Edgars and Red Square. Price-wise, you’re looking at R595 for 30mls, R770 for 50mls and R995 for 75mls.